Over the past year or so I’ve really fallen in love with the films of writer/producer/director team Michael Powell and Emeric Pressburger. 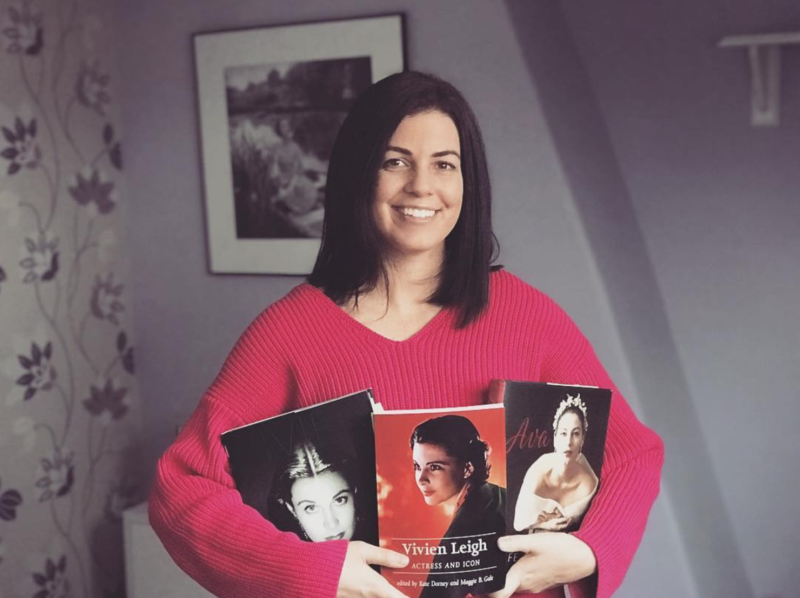 Their production company, “The Archers,” often worked in conjunction with J. Arthur Rank to release some of the best British films of all time. You may recognize some of these titles: Black Narcissus, The Red Shoes, A Matter of Life and Death, Peeping Tom, I Know Where I’m Going, The Thief of Baghdad, The Life and Death of Colonel Blimp, etc. 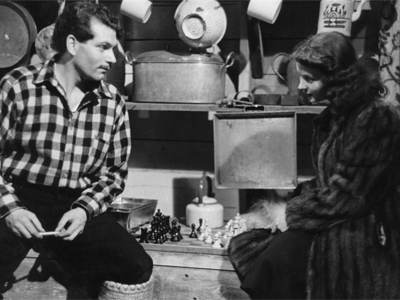 In 1941 they did a propaganda film called 49th Parallel which starred Leslie Howard, Laurence Olivier, Eric Portman, Glynis Johns, and Powell and Pressburger recurring actor Anton Wolbrook. The film centered around a German U-boat that strands its occupants in Canada during WWII. The German soldiers seek refuge in a seried of small hide-outs in attempt to cross the border to the still-neutral United States. Larry played a French-Canadian fur trapper named Johnny (complete with accent!). 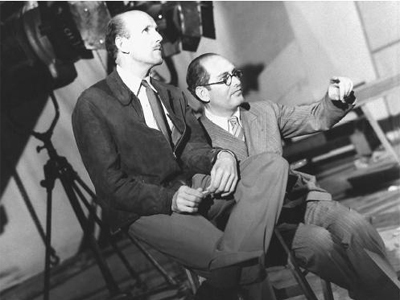 Director/producer Michael Powell and screenwriter Emeric Pressburger made a movie that defied the limits of filmmaking in wartime. In the midst of crippling travel restrictions, they crisscrossed the Atlantic and the length and breadth of Canada, covering more than 50,000 miles making their film. In the face of a British film industry that was close to collapse, they forged ahead with a topical thriller of two hours’ length, with a cast drawn from all over the world. They assembled from all of this a film filled with such beauty, vision, and vibrancy, that it was taken to heart by American audiences in a way that no British film before it—including Hitchcock’s celebrated thrillers—ever had been. 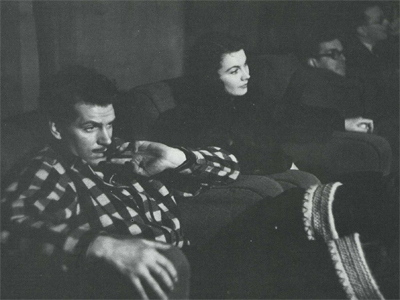 The quality of Powell and Pressburger’s achievement also inspired J. Arthur Rank, head of Britain’s General Film Distributors and its parent company, the Rank Organization, to expand production. 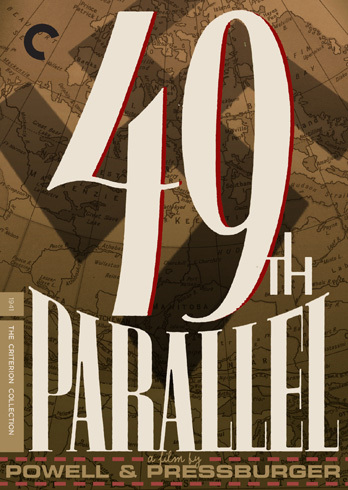 While other British studios were cutting back on operations, Rank used 49th Parallel and its success in America (where, by Powell’s estimate, it netted an unheard of $5 million in box-office receipts) as the basis for establishing independent production companies headed by Powell and Pressburger (The Archers), David Lean (Cineguild), and Filippo Del Giudice and Laurence Olivier (Two Cities) resulting in such celebrated films as Stairway to Heaven, Henry V, In Which We Serve, Odd Man Out, Oliver Twist, Black Narcissus, and The Red Shoes. I really like this movie and I’m glad it’s gotten the Criterion treatment, along with several other Powell and Pressburger films. If you get a chance to see this, I’d also highly recommend watching the features on the bonus disk. They include a short film Powell did with Laurence Olivier and Ralph Richardson about life in the Fleet Air Arm from 1943, and a fabulous documentary called A Very British Affair which is all about the careers of Michael Powell and Emeric Pressburger. This documentary established Michael Powell as one of my favorite people. The guy was hilarious! I actually made this post so that I could share the following photos. 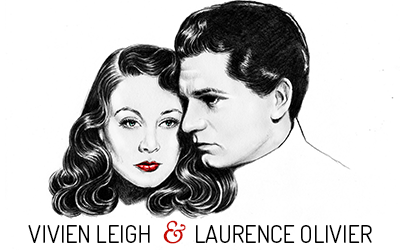 Larry Olivier made this film in between stints helping Vivien Leigh serve drinks to soldiers at canteens and making rousing speeches. 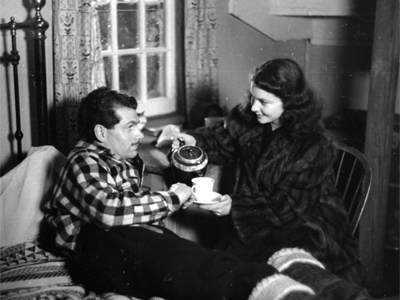 Vivien often visited on the set, and according to at least one Hollywood magazine, Larry would look to her for encouragement with his lines. My favorite Powell and Pressburger film of them all is A Matter of Life and Death (Satirway to Heaven) from 1946 starring David Niven, Roger Livesey, Marius Goring, and Kim Hunter. Watch it, it’s amazing! Utterly fascinating review. I now want to rush out and get this film…no matter what! Haha! you should! also, get A Matter of Life and Death because it’s so fabulous in so many ways! I’ll have to check out this movie. I think maybe I’ve seen part of it before, but it was a long long time ago. I’ve had this movie for ages, that same Criterion edition, and for some reason have never gotten around to watching it. Now you have inspired me to bring it to the top of the list. I think A Canterbury Tale is my favourite Archers movie, though my favourite Powell film of all is an early one called The Edge of the World. Have you seen it? There’s a lovely BFI DVD of it with some extras that really complement it and turn it into a complete experience… Really awesome stuff. Do give it a try! As said, it’s different from what many are used to from Powell and Pressburger, but I rather liked it and the cast is great!